Keeping your car well maintained is obviously important. If your engine has a few miles on the clock, using a good high mileage oil is one of the best things you can do. But picking the right one can be tricky, so we’ve done the hard work for you. In short, the best way to do this is to choose one of the products on our list below. Choose one of these and your car will thank you! We carried out a rigorous review process before settling on these six. They’re all made by reliable brands, they all work extremely well, and they all represent great value for money. This high mileage oil is designed for cars that have collected 75,000 miles and above and is one of the more premium options that we will be looking at on this list. It claims to provide a superior dispersancy in order to prevent the build up of sludge that can otherwise hamper the proper function of your car engine, leading to inefficiency. In theory then, this will not only help to keep your car running longer, but also reduce fuel consumption during its lifespan. Both these things make this a very good investment for your car! It also has a few other things going for it: great burn-off protection that goes beyond the industry requirements, based on ACEA and API volatility. Seal conditioners that help to prevent leaks in gaskets and other areas, and additives that can prevent wear and even fortify the strength of parts in your engine. At the time of review this great product averaged a whopping 4.7 stars out of 5 from 67 independent reviews. It was available at a GREAT PRICE and came with FREE SHIPPING. Unlucky not be named number 1, this oil is great value and is very effective at keeping your engine running smoothly. From our research it’s clearly helped numerous customers to get a ‘new lease of life’ from their cars. Valvoline includes seal conditioners which help to prevent oil leaks that can otherwise start to appear over time in gaskets and other joins within the engine. Added detergents also help to clean your engine from the inside. These work by bonding to sludge and actively removing it. Anti-oxidants aren’t just good for our health – they are also present in this product to help prevent the break down of your oil that can otherwise lead to sludge and clog formation. Many people don’t see the benefit of using a high-mileage oil like this until they actually try it. The result is an engine that sounds and feels healthier and as you would expect, this translates to an extended lifespan on the road. That’s certainly what you’ll get from Valvoline. And, given the LOW PRICE, buying this is a bit of a no-brainer. It averages 4.6 stars out of 5 from 450 reviews and is available with FREE SHIPPING. See the review at number 6 below for a full synthetic option. AmazonBasics is an affordable brand designed to help you get better performance out of your engine without having to spend a huge amount on oil. Of course the question then becomes whether or not this more affordable oil can live up to the performance of the more expensive competition. Does it still offer all the same benefits? Available in a range of different types, AmazonBasics high mileage motor oil is intended for cars that have travelled 75,000 miles and over. It should help to increase drain intervals – so if you feel like you’re topping up your oil every two minutes, then this might provide the answer. It is also designed to reduce the chance of low speed pre-ignition. This means that friction is reduced, which helps to improve fuel economy and simultaneously protect the engine from wear. Its basically like it sounds – you’re preventing the oil from starting to ignite before it should, which is understandably problematic. This oil also offers high resistance to thermal breakdown and viscosity, which should help to minimize sludge build up and exhaust emissions – making it kind for the environment. So this brand is able to offer a lot of benefits for the high mileage vehicle but it is lacking a little when it comes to some of the more advanced specs that we see with the stronger brands. You don’t quite get the same antioxidants included, or the conditioner to help seal those leaks or clean the engine from the inside. Look at it this way: whereas this oil will prevent further breakdown and wear and tear, the more expensive alternatives can actually help to actively reverse damage that has already occurred. Still, users seem to love it: it averages 4.5 stars out of 5 from 60 reviews and comes with FREE SHIPPING. We’ve seen a range of different budgets when it comes to high mileage engine oil so far on this list. We’ve seen the more premium end with lots of advanced features, and we’ve seen the more budget option from AmazonBasics. Mobil 1 lands somewhere in the middle. Firstly, note that this is the 5W-20 option, but it comes in many more to suits almost all vehicles. Consult the owner’s manual that came with your vehicle and it will advise on the correct type of oil for your engine – it may be that you can use several. This oil once again is specially formulated with reduced sludge protection, wear protection, and improved cleaning power. The drawback is that the manufacturer is a little less forthcoming with details and it’s unclear if ther is a seal conditioner additive. Averaging a massive 4.8 stars out of 5 from 358 independent reviews however, and available with FREE SHIPPING, this is the market leader. This motor oil on the other hand is definitely able to offer conditioner sealing and will help to seal and prevent minor leaks in your older vehicle. It also claims more impressively to keep pistons up to 40% cleaner than the competition, and to offer faster oil flow at low temperatures. It can also add extra protection for your engine in extreme heat. In order to get the most benefit you can opt to mix it with other products, thereby bringing together the advantages of different brands. It still does a solid job on its own though. Users seem to love it. One reviewer simply said that it’s “the best oil on the market, period!”. It’s priced well and averages a strong 4.5 stars out of 5 on review, so who are we to argue? Another great product from Valvoline, once again bringing all the same advantages: seal conditioners to help seal fine leaks and rejuvenate those aging engines, extra cleaning agents to reduce deposits and sludge, and better thermal and oxidative stability that can prevent burn-off. This is very similar to the VV1556 (reviewed at number 2 above), but with the addition of those thermal protection elements. It really is a leading product providing all of the benefits of a full synthetic oil with added technology (see above) specifically catering for engines with over 75,000 miles on the clock. It averages 4.7 stars out of 5 from 42 reviews. And incredibly, when we looked at this it was available for JUST $7.37 with FREE SHIPPING. So, What’s The Best High Mileage Oil? 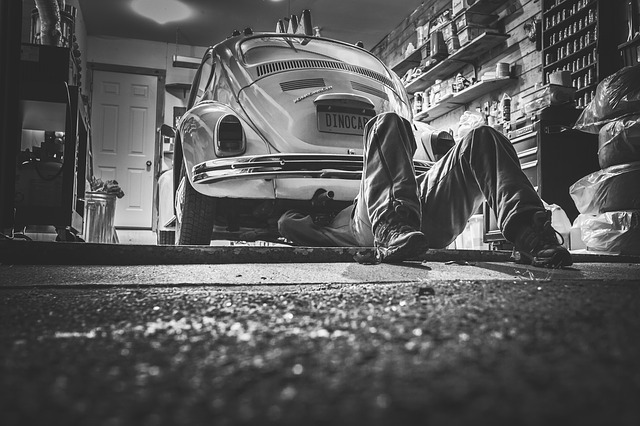 While there are a few different options here, the bottom line is that you should be using something like this to improve the performance of your vehicle as it ages. There’s no reason that your car can’t manage another 75,000 miles or – as long as you look after it! We’re happy that all of the products on this list will do a great job for you, but if you really pressed us we’d find it difficult to choose just one. The Castrol GTX is obviously the premium offering on this list, but as you’d expect it isn’t the cheapest. Both Valvoline products offer exceptional value for money on the other hand and they score incredibly well on review. Mobil 1 is the best seller, and scores highly too, but it too isn’t that kind on your wallet, whereas the AmazonBasics is, but lacks some of the advanced technology of the others. We’re not going to sit on the fence though. As we’ve said, using some sort of high mileage oil will make an improvement, so we’ll go with the best value option, and that is made by Valvoline. Both their blended and full synthetic offerings are fine products and are priced too well to ignore. With car maintenance comes questions, and choosing the best motor oil for high mileage engines is no different. It’s a slightly alien topic to many, so inevitably there are a raft of queries that arise. we’ve written a series of posts in this area, but as a quick point of reference we’ve attempted to answer some of the most frequently asked questions below. Q – Does High Mileage Oil Work? A – In short: yes. They are specifically designed to protect engines that typically have over 60,000 miles on the clock. An engine that has done a lot of miles will in time start to loosen in places. It will experience obvious wear and tear. Things like seals and gaskets can become warped. Leaks can start to occur. A specialist oil for such engines (such as the ones on our list) come with conditioners, sealants, antioxidants, and many more additives designed to help preserve your engine and improve its performance going forward. Their most useful function is to stop leaks from seals. They keep old engines cleaner by bonding with and removing sludge, which in turn reduces oil consumption. You can read our full article “Is High Mileage Oil Worth It?” here, but to answer the question, in our view it does work, and for the cost of a pizza why wouldn’t you use it? It could save you thousands in repair costs. Q – How Often Should I Change High Mileage Oil? A – The answer varies between products, but a general rule of thumb is to go no more than 12,000 to 15,000 miles between changes. Mobil 1 for example suggests that some of its higher mileage offerings can protect critical engine parts for 15,000 miles between oil changes. Given that we’re talking about vehicles that are likely to need extra care, we’d suggest exercising caution and sticking to around the 8,000 to 10,000 mile mark. Q – How Do You Carry Out A High Mileage Oil Change? If you’re not comfortable with any of this, and let’s face it not all of us are, take your car to a professional for a high end service. If so, you might like to read our post on how long an oil change takes. Q – High Mileage Oil vs Synthetic Oil – Which Is Better? A – This is quite a common question. The answer really depends upon the type of car that you’re driving, how many miles it has done, and the driving conditions that it has to deal with. Most modern cars can run just fine on a conventional oil. Provided it keeps the moving parts of your engine properly lubricated and regulates temperature you should be fine. A synthetic blend however is designed to provide the ultimate in lubrication, even at extreme temperatures, resulting in a better running engine. The superior cleansing additives help ensure this. You may not need a synthetic oil, but if driving conditions are more extreme you’d be wise to consider one. If however your vehicle has pounded the tarmac for 75,000 miles or more it’s probably time to switch to a high mileage motor oil. As we’ve seen, these contain special sealing additives that help to clean and protect key parts of your engine. However, they come in blended and fully synthetic options, so the question is actually a little misleading. The answer, therefore, is that you’re probably better off with a synthetic high mileage motor oil! Q – So What’s The Best High Mileage Synthetic Oil? A – Well, if you want a synthetic blend, the recommended oil for high mileage cars is probably Castrol GTX or Valvoline Maxlife (the first two on our list). If you want a fully synthetic oil you should go with either the Mobil 1 or Valvoline options (at numbers 4 and 6 respectively). Q – What’s The Best Oil For High Mileage Trucks? A – Generally the same as for a car, but there may be a few further considerations to take into account. For example, if you run a relatively old truck in extreme conditions (rough terrain, long distance, extreme hot or cold) you may wish to choose one of the more premium options from our list to help cope with the extra demand placed upon your engine. If that is the case then choosing either Castrol GTX or Mobil 1 would be a good decision. If however these type of circumstances do not apply to your truck then going with a less expensive product (like either of the Valvoline products) should be just fine. Q – What’s The Best Oil For Cars With Over 100k Miles On The Clock? A – Any of the products on our list will do a solid job. That’s why we’ve picked them. That said, if your odometer reads significantly higher than 100k miles you might want to consider a premium option like Castrol GTX or Mobil 1. You might wish to discard AmazonBasics’ offering given the inferior antioxidants and sealant qualities. As with our answer to the previous question, the Valvoline oils are highly recommended and, for the price, can’t be beaten. Q – High Mileage Oil vs Regular Oil – Which One Should I Go With? A – See the answer to question number 3 above. This really depends on the age of your car, the demands placed upon it, and the number of miles on the odometer. Q – Can You Put High Mileage Oil In A Low Mileage Car? A – Yes, in theory, but we wouldn’t recommend it and why would you in the first place? A car with fewer miles on the clock shouldn’t have suffered the same wear and tear as an engine that’s cranked out 75,000 miles or more. It shouldn’t need the same level of maintenance. If regular driving conditions are such that your car with be put under more stress than normal you should consider upgrading from a conventional oil to a high performance synthetic oil. Only when your car has done 60,000 to 75,000 miles should you start to consider one of the products on our list. Q – What’s The Best Motor Oil For High Mileage Engines For The Price? A – Price was one of the key considerations that we took into account when compiling this list. We excluded several rival brands because they didn’t appear to perform as well as the products on our list (or received poor user feedback) whilst still costing more. The seven products listed above all represent great value for money, and you won’t feel short changed if you purchase any of them. In terms of bang for your buck, if you really pressed us we’d have to say that Valvoline makes the best oil for high mileage cars. Hopefully the FAQ section above together with the product reviews themselves have provided you with enough information to decide which is the best high mileage oil for you. Before you go, please let us know in the comment section below if you’ve used any of the products on our list and what you thought of them. Did you have any problems with them? Did they under perform? Are there any others you think should be here that are not? What next? Check out our step by step guide on how to change your oil here. Are you a Ford Powerstroke owner? Looking for more power? Check out our post on the best 7.3 Powerstroke programmers here to help you tune your truck for optimal performance.